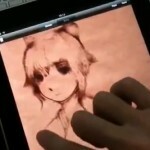 Yoshitoshi Abe, a Japanese artist, shown in the following video drawing a sketch on an iPad using and App called LiveSketch HD. LiveSketch HD price is currently $0.99 for a limited time. You can buy it at the iTunes App Store. 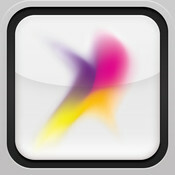 An iPhone/iPod touch version is also available: LiveSketch ($0.99). If you like LiveSketch then you’ll love OmniSketch!